Here’s my breakdown, incase you want to use them! Day 1: Sunglasses (he needed a new pair) : I used at great printable from Studio DIY for these. 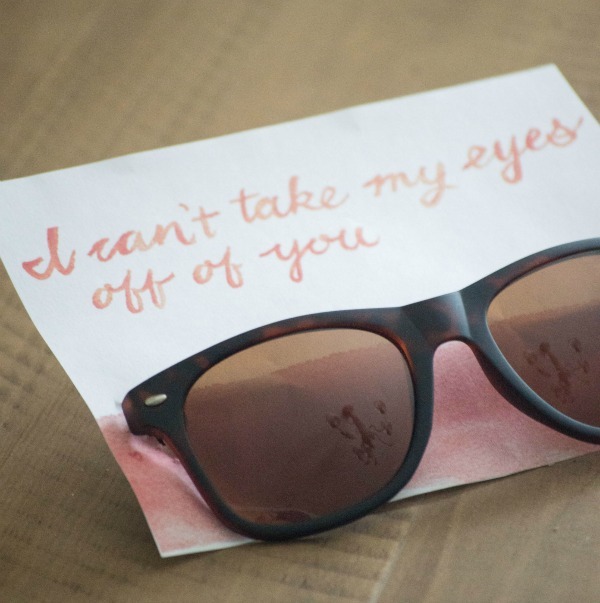 You can find the “I can’t take my eyes off of you” card HERE. 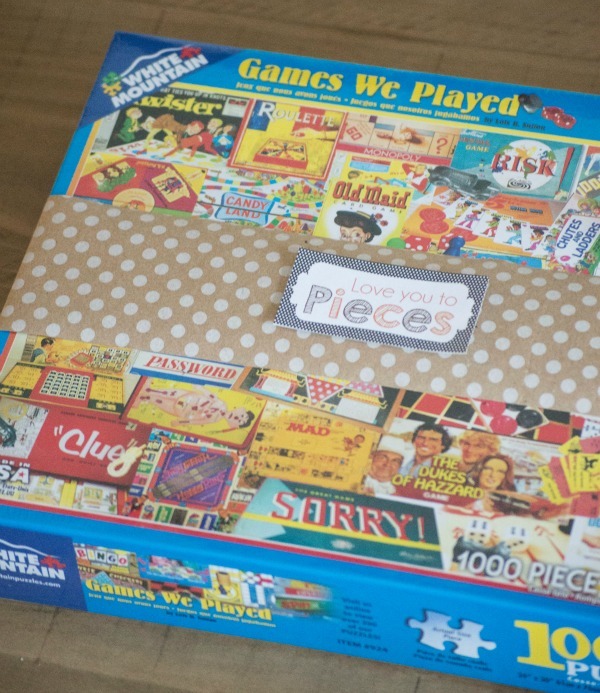 Day 2: Puzzle : I found a printable for Pieces candy and used it for my puzzle gift. You can get the printable from A Pumpkin and A Princess. 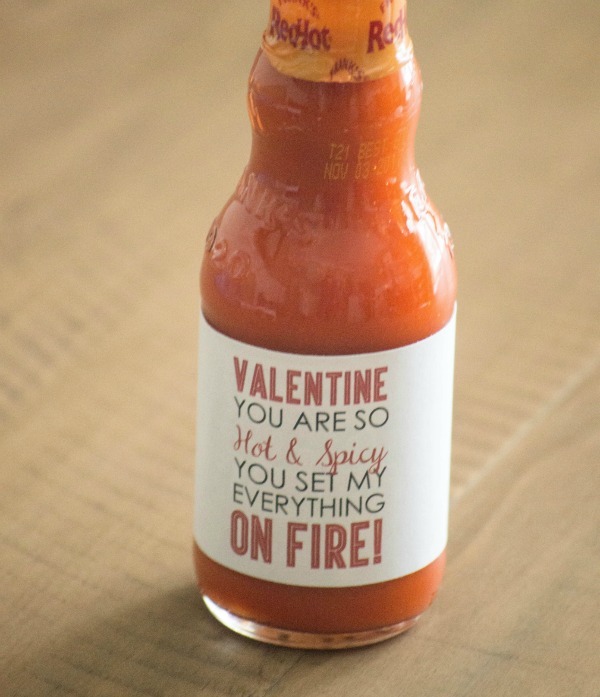 Day 3: Hot Sauce (he loves spicy food!) 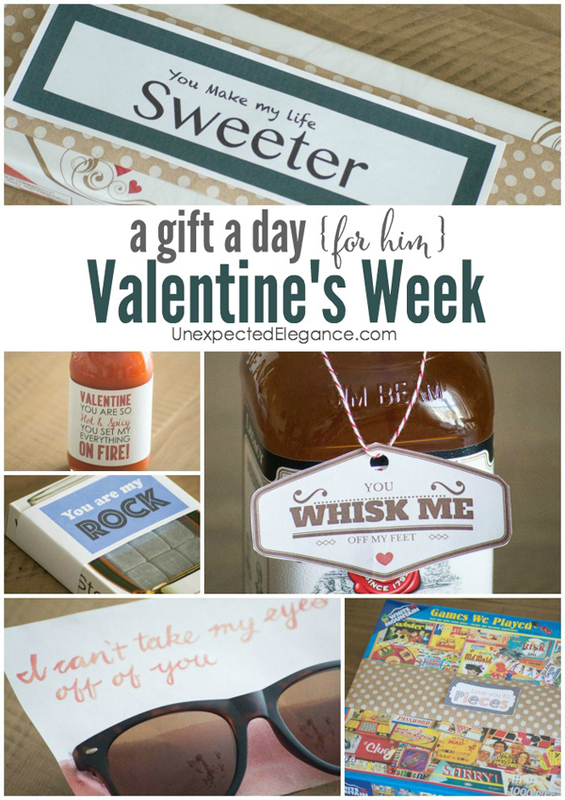 : I had planned to make my own, but found this printable at The Crafted Sparrow. 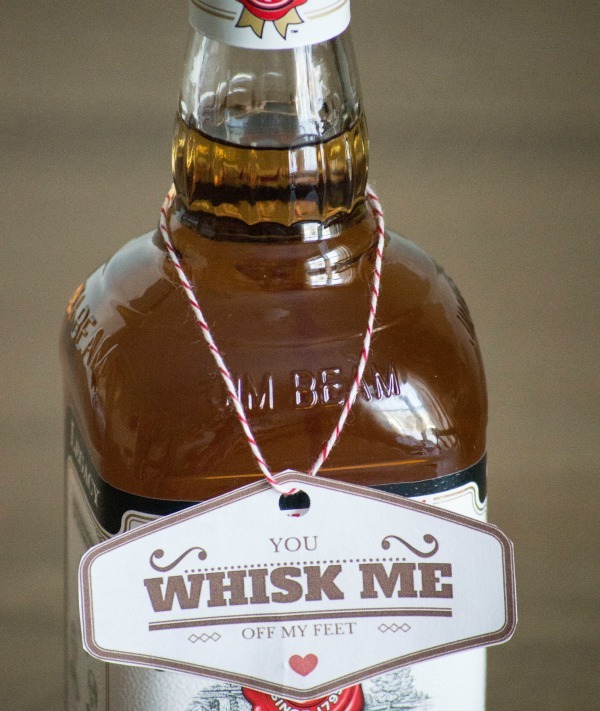 Day 4: Whisky : I found this cute printable from Pizzazzerie. 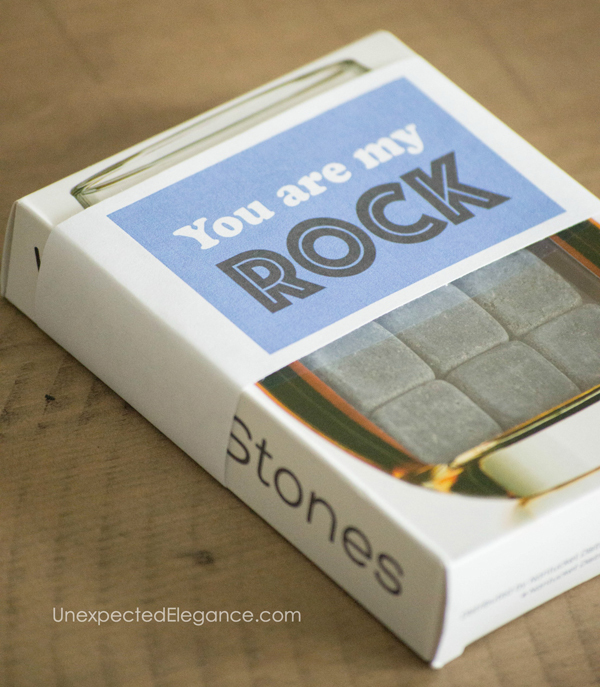 Day 5: Whiskey Stones (to go with the whisky 😉 ): I used the phrase “You are my ROCK” and made a printable. You can get a free download of it HERE. Day 6: Chocolates: Everyone loves a box of chocolates. 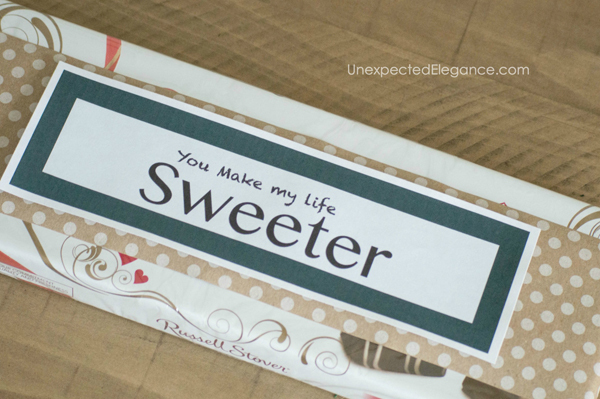 I made a printable that says “You make my life SWEETER”. Get a free download HERE. Day 7: Valentine’s Day!! 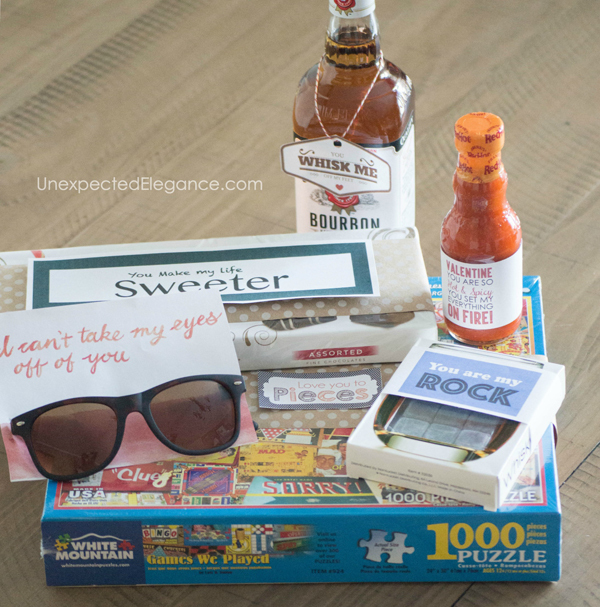 : We are planning a night out so this day is covered! I might write him a note or get a card for day 7.